The Synthesizer Sympathizer: Weekend Leak: New Roland Boutique line digitally recreates the classic Jupiter 8, Juno 106, and JX-3P in small modules for under $400! Full pics and specs! Weekend Leak: New Roland Boutique line digitally recreates the classic Jupiter 8, Juno 106, and JX-3P in small modules for under $400! Full pics and specs! 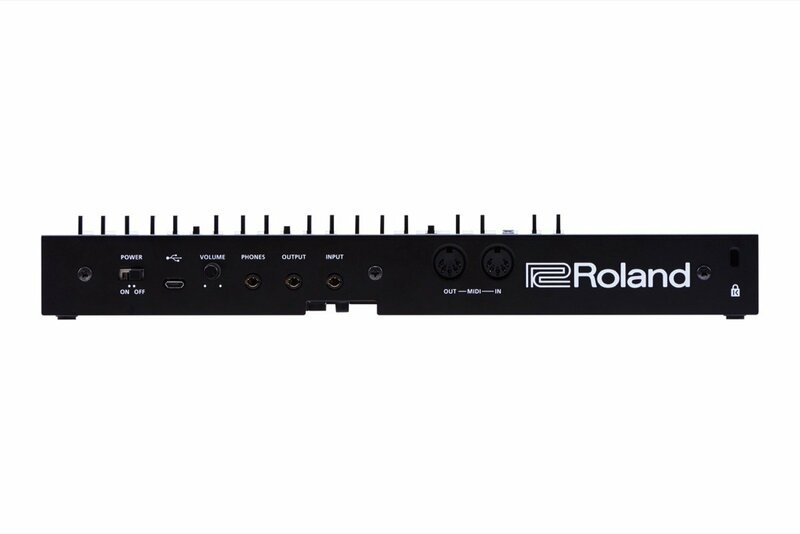 Over the weekend, eagle eyed reddit user Leviathant found that Zzounds had accidentally posted the new Roland Boutique line early complete with high resolution photos and full specs, after Roland had teased last weekend that something new and retro-inspired was coming on their website. While it was clear that the new line would be small and modeled after the Jupiter 8, Juno 106 and JX-3P, no other information was available besides some desperate attempts to make out what the keyboards looked like. With the cat out of the bag before the big reveal from Roland, I've decided to post a quick brief of what the new devices are. Each is a 4 voice knobby module (with an optional detachable 25 key mini keyboard) with MIDI, USB, battery or USB power, patch memory, built in speaker, and a sequencer. 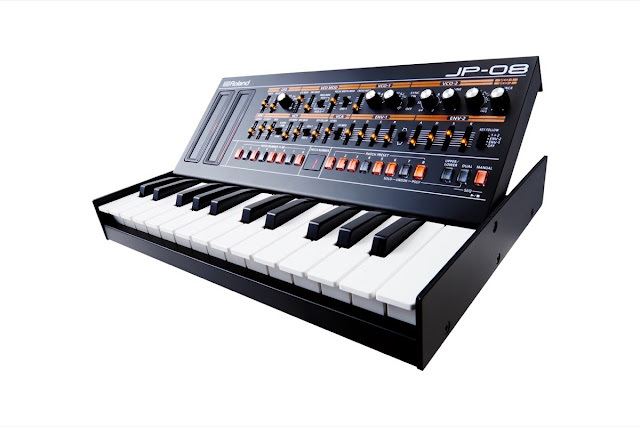 The JP-08 , modeled after the Jupiter 8, is slightly more expensive than its two siblings at $399, but the JU-06 and JX-03 (Juno 106 and JX-3P recreations, respectively) are $299. The emulations of these new keyboards are based off the same technology used in the TR-8 . The modules are said to be limited edition, although how limited remains to be seen. I can't help but imagine that this is a test to see how well they'll sell, and perhaps we'll see full 8 voice versions in the near future with a regular size keyboard. Speaking of which, you can grab 2 of the Boutique synths and polychain them together to get an 8 voice synth. 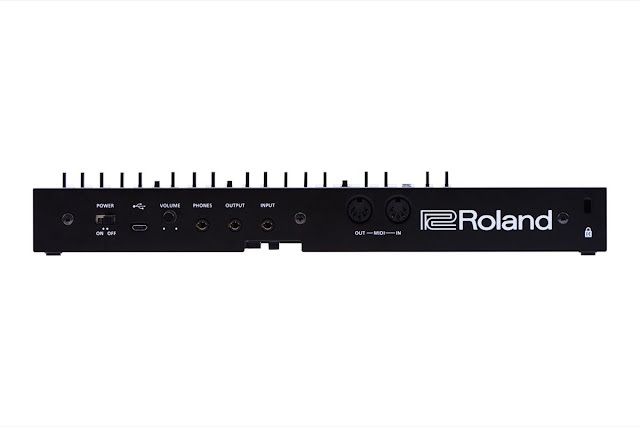 The new Roland Boutique line is expected to launch November 8th. Full specs just below. For all the pictures, scroll down further. The legendary Jupiter-8 synth is back - as a limited-edition module no bigger than a book. Part of the Roland Boutique series, the JP-08 is all about hands-on control and that iconic Jupiter sound. With an array of 36 knobs and sliders from the original Jupiter-8 front panel, the 4-voice JP-08 is highly programmable and encourages sonic experimentation, especially with the built-in speaker and battery operation. Using Roland's acclaimed Analog Circuit Behavior (ACB) technology the JP-08 faithfully reproduces the original Jupiter-8 sounds and adds a few new twists in the form of extra LFOs and expanded VCO range. 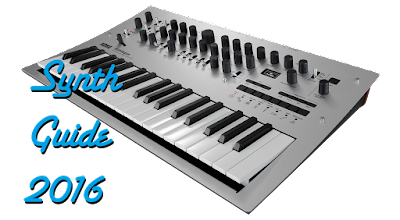 You can even slide the JP-08 into the K-25m keyboard unit (not included) for a self-contained, go-anywhere synth experience. Huge Synth. Small Package. The Jupiter-8 was a big synth in every way; physically imposing with loads of knobs and sliders, and most importantly, a huge sound. The JP-08 retains the big sound of the Jupiter-8 but shrinks everything else - including the price - into a module measuring under 12" across. Hands-on control With such an expressive sound engine, you'll want to shape the sounds to match your mood. With 36 of the original parameters accessible from the front panel, the JP-08 is all about hands-on control, and even users of the Jupiter-8 will quickly feel at home as the user interface and programming 'feel' is highly reminiscent of the original. New Sound-Shaping Options Even though the JP-08 is an authentic recreation of the Jupiter-8, Roland also included a few extras. The JP-08 adds several new waveforms to the original architecture, including TRI and NOISE for the LFO and SIN for VCO-1, and both VCOs have an expanded range for even more sound shaping potential. Develop Your Ideas with a 16-Step Sequencer The onboard 16-step sequencer is a sonic scratchpad that lets you try out new ideas without bringing lots of gear - it can even be used without a keyboard. And if there's no keyboard connected, the ribbon controller lets you preview the sound, making it an ideal way to program patches quickly and easily. Optional K-25m Keyboard Unit The JP-08 works especially well with the K-25m, an optional 25-key velocity sensitive keyboard that takes your music making to the next level. 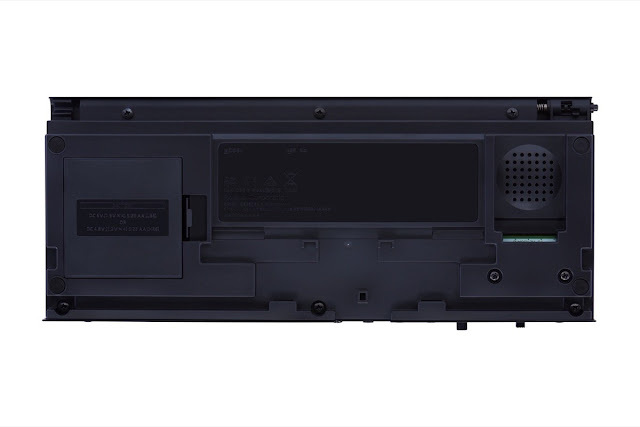 Once docked in the keyboard, the module's front panel adjusts to three positions for convenient access to the knobs and sliders. Chain Mode One of the killer features of the original Jupiter-8 was its ability to create huge pads, splits and layers using its 8 voices of polyphony. 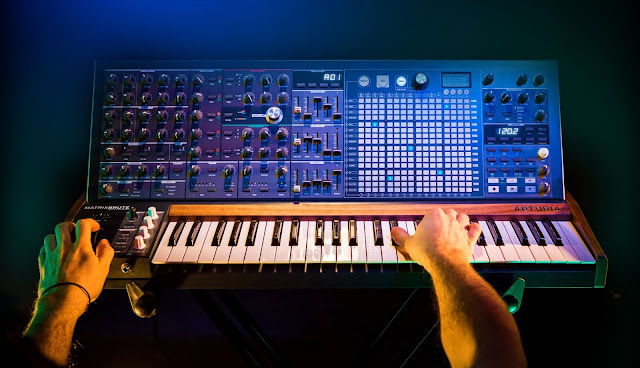 The JP-08 features a chain mode that allows you to connect two JP-08 modules using the MIDI ports and create one, 8-voice synthesizer, just like the original. Adding additional modules adds another 4 voices of polyphony with each module. This is especially great when controlling the JP-08 from a larger external keyboard. You can even edit the sound from the master module and control both units. Great for real-time filter sweeps and LFO effects. Battery or USB Bus Power Some of the best music is made away from the studio, so the Roland Boutique series runs on 4 x AA batteries, ready for when inspiration strikes. Alternatively, you can power the JP-08 via USB bus power. USB Audio Interface for Direct Recording Into Your DAW The built-in USB port also functions as a high-quality 24bit, 44.1 kHz audio interface, for a fast, simple and reliable way of recording directly to your DAW application. You can keep your favorite patches and sequencer patterns safe too, via the USB data backup function. NOTE: Showed with optional K-25m keyboard. 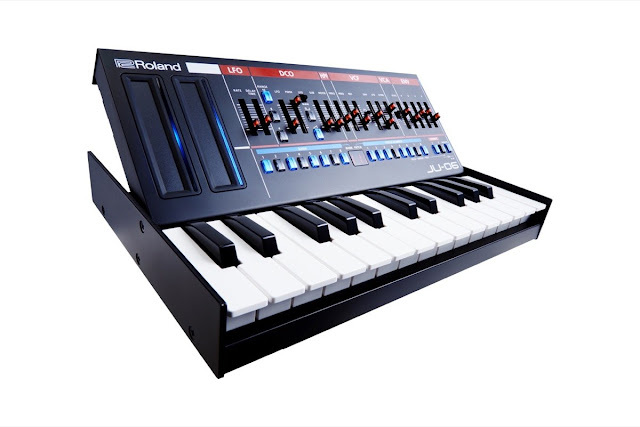 The limited-edition Roland JU-06 is an authentic recreation of the iconic Juno-106 synthesizer. Sometimes described as one of the last great synths of the analog era, the Juno-106 became a favorite thanks to its warm sounds and instant sound-shaping ability. The new 4-voice JU-06 module continues this approach, with 23 parameters controllable via the front panel and that classic Juno sound -- complete with the much-loved Juno chorus effect. There are some new additions too, including a faster LFO and continuously variable hi-pass filter (HPF). You can even slide the JU-06 into the K-25m keyboard unit (not included) for a self-contained, go-anywhere synth experience. Big Sound. Small package. The Juno-106 is sometimes described as one of the last great synths of the analog era, and it became a firm favorite thanks to its distinctive, warm sounds and instant sound shaping ability. The new JU-06 module has all of the sonic character of the original, with accurate reproduction of the entire sound set including the classic Juno strings and the much-loved Juno chorus effect. Hands-On Control for Instant Programming The original Juno-106 was a great way to learn about synthesis, as each stage of the sound creation process was clearly laid out on the front panel, with lots of sliders for instant sound-shaping and experimentation. And that's still the case with the JU-06, which features 23 knobs and sliders from the original -- all inviting you to start tweaking and creating your own customized version of this legendary sound engine. 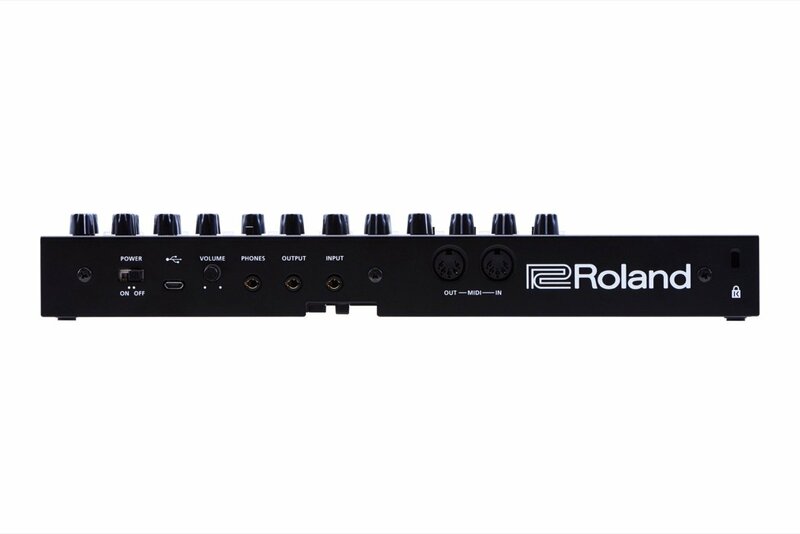 Additional Sound-Shaping Options Like the other members of the Boutique range, Roland also added a few subtle improvements that weren't found on the original models. The JU-06 gains a faster LFO and a continuously variable hi-pass filter (HPF) resulting in a super-smooth sound. Develop Your Ideas with a 16-Step Sequencer The onboard 16-step sequencer is a sonic scratchpad that lets you try out new ideas without bringing lots of gear -- it can even be used without a keyboard. And if there's no keyboard connected, the ribbon controller lets you preview the sound, making it an ideal way to program patches quickly and easily. Optional K-25m Keyboard Unit The JU-06 works especially well with the K-25m, an optional 25-key velocity sensitive keyboard that takes your music making to the next level. Once docked in the keyboard, the module's front panel adjusts to three positions for convenient access to the knobs and sliders. Chain Mode The original Juno-106 was famous for big lush sounds created by its 6 oscillators/voices. 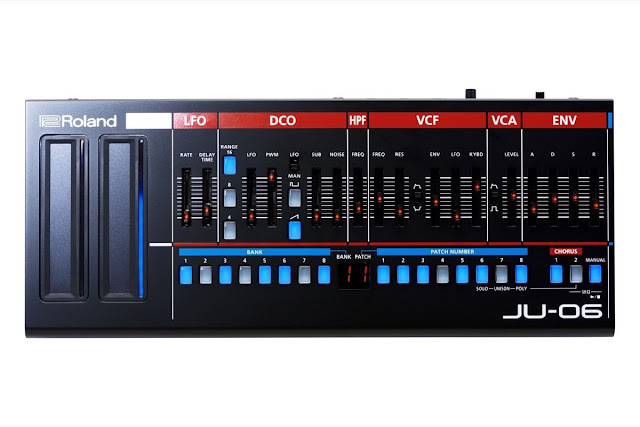 The JU-06 features a chain mode that allows you to connect two JU-06 modules using the MIDI ports and create one, 8-voice synthesizer. Adding additional modules adds another 4 voices of polyphony with each module. This is especially great when controlling the JU-08 from a larger external keyboard. You can even edit the sound from the master module and control both units. Great for real-time filter sweeps and envelope adjustments. Battery or USB Bus power Some of the best music is made away from the studio, so the Roland Boutique series runs on 4xAA batteries, ready for when inspiration strikes. Alternatively, you can power the JU-06 via USB bus power. NOTE: Shown with optional K-25m keyboard. The Roland Boutique JX-03 module continues the legacy of the JX-3P synth. The original model was launched when button-driven interfaces were popular, so it was designed to give immediate access to preset sounds. It was actually highly programmable though, especially when used with the PG-200 controller that added 24 rotary knobs for instant sonic sculpting. The limited-edition 4-voice JX-03 inherits all 24 knobs from the PG-200, as well as the distinctive JX tonal character. Roland also added some extras not present in the JX-3P including new waveforms, expanded DCO range and cross modulation options. You can even slide the JX-03 into the K-25m keyboard unit (not included) for a self-contained, go-anywhere synth experience. Often described as a forgotten classic, the JX-3P was all about instant access to big sounds, with a simple button-driven interface rather than lots of knobs and sliders. When used with the optional PG-200 controller however, the power of the highly programmable engine was revealed. The new JX-03 module recreates the panel layout of the PG-200 - including all 24 knobs - giving direct and instant access to the versatile synth architecture. 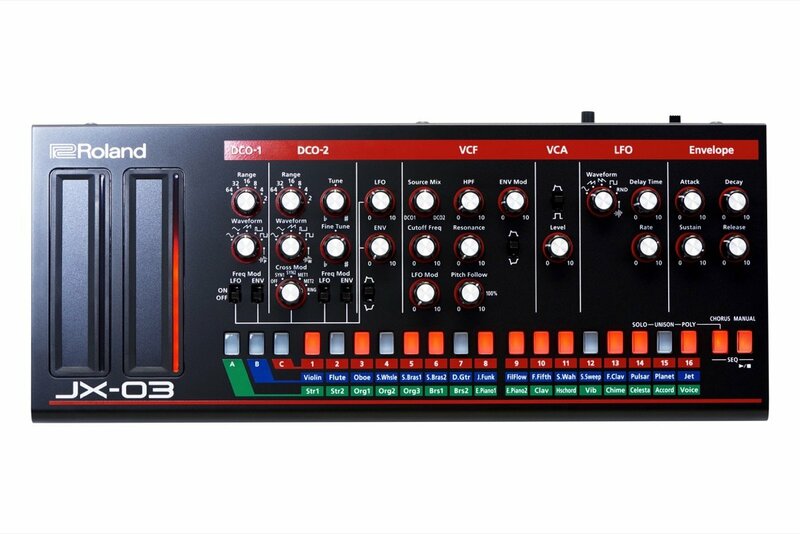 Like the other members of the Boutique range, Roland also added a few subtle improvements that weren't found on the original models. The JX-03 benefits from extra waveforms and extended range for both DCOs as well as extra waveforms for the LFO. The second DCO also gets extra cross-modulation options. These additions further expand the sound creation possibilities of the battle-tested JX engine. The onboard 16-step sequencer is a sonic scratchpad that lets you try out new ideas without bringing lots of gear - it can even be used without a keyboard. And if there's no keyboard connected, the ribbon controller lets you preview the sound, making it an ideal way to program patches quickly and easily. The JX-03 works especially well with the K-25m, an optional 25-key velocity sensitive keyboard that takes your music making to the next level. Once docked in the keyboard, the module's front panel can be tilted for convenient access to the knobs and sliders. 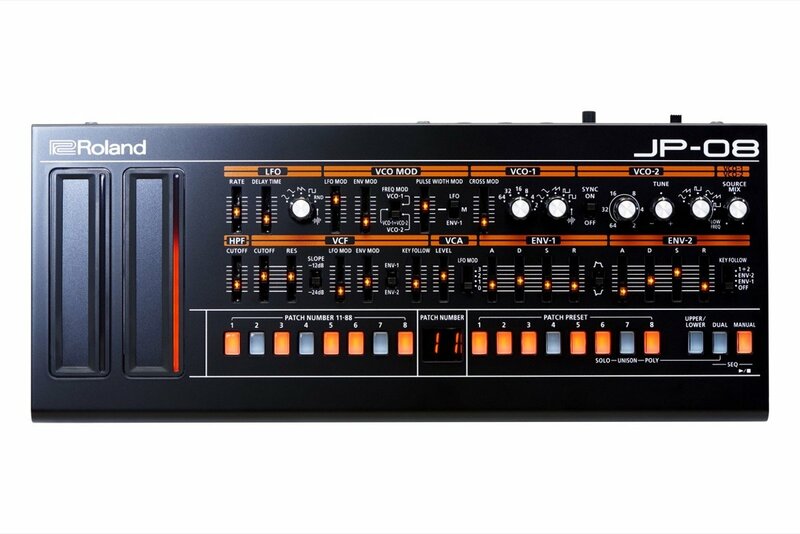 The original JX-3P was a powerful synth featuring 2 digitally controlled oscillators for each of its 6 voices. The JX-03 features a chain mode that allows you to connect two JX-03 modules using the MIDI ports and create one, 8-voice synthesizer. Adding additional modules adds another 4 voices of polyphony with each module. This is especially great when controlling the JX-03 from a larger external keyboard. You can even edit the sound from the master module and control both units. Great for real-time filter sweeps and envelope adjustments. Some of the best music is made away from the studio, so the module runs on 4 x AA batteries, ready for when inspiration strikes. Alternatively, you can power the JX-03 via USB bus power. Amazing news! Unfutunatelly the exchange rates for Real(brazilian currency) are a way high!